We, Japan Asia Group (JAG) and our group companies, are making every effort to realize our Group Mission: "Save the Earth, Make Communities Green." 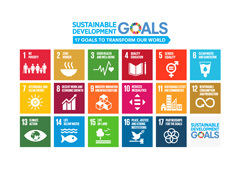 We also aim to contribute to the global movement towards the Sustainable Development Goals (SDGs), or the 2030 Agenda for Sustainable Development, through our core business. Kokusai Kogyo, a subsidiary company of JAG, joined the United Nations Global Compact (UNGC) in 2013, agreeing to align strategies and operations with the UNGC universal principles. In 2017, Japan Asia Group took over Kokusai Kogyo’s UNGC membership. 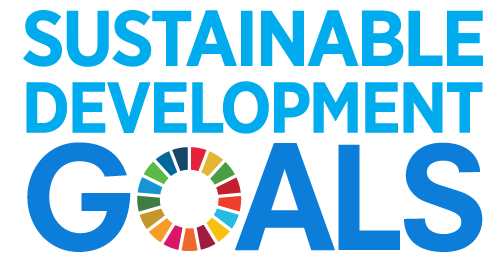 As a group, we adhere to the Ten Principles, work to strengthen networks of businesses working with the UN and international organizations, and cultivate business areas that contribute towards the SDGs. Sandra Wu was appointed to the Board of the United Nations Global Compact by the Secretary-General of the United Nations António Guterres on June 20, 2018. During UN General Assembly week, September 2018, she participated in Global Compact Board events and the UN Global Compact Leaders Summit 2018 as Board member, including its CEO Roundtable. Japan Asia Group works with the Disaster Risk Reduction (DRR) Working Group, Women’s Empowerment Principles (WEPs) Working Group, Sustainable Development Goals (SDGs) Working Group, and the Environmental Management Working Group within Global Compact Network Japan (GCNJ), a network of UNGC member companies based in Japan. We have been leading the GCNJ DRR Working Group since its inception in 2014 and have consistently contributed towards the invigoration of network activities. One of our executives currently now leads the network’s new member recruitment committee. In September 2018, Sandra Wu, Wen-Hsiu, Chairperson and CEO of Kokusai Kogyo Co., Ltd. and Director of Japan Asia Group Limited was selected to serve on the GCNJ Board. We reflect insights gained through our involvement with UN Global Compact towards responsible and sustainable corporate management. Additionally, as a company focused on providing geospatial information based solutions, we have been participating in the following global initiative as observers. Additionally, Kokusai Kogyo assists developing countries implement these international frameworks through our international development consulting operations. 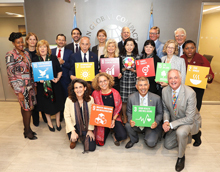 The Global Compact was launched at UN Headquarters in New York on 26 July 2000, and aims to bring about sustainable growth through the responsible, innovative leadership of businesses and other organizations acting as good corporate citizens and voluntarily committing to a universal set of principles. Kokusai Kogyo joined the Global Compact in 2013, and agreeing to meet fundamental responsibilities in its Four Areas and to adhere to its Ten Principles, and reporting on progress through our Creating Shared Value (CSV) report. In 2015, Kokusai Kogyo became signatory to the Caring for Climate initiative, which is jointly convened by the UNGC, the secretariat of the United Nations Framework Convention on Climate Change (UNFCCC) and the United Nations Environment Programme (UNEP). Joined the Caring for Climate initiative, which endeavors to mobilize a critical mass of business leaders to implement and recommend climate change solutions and policies. United Nations Private Sector Forum 2015: Implementing the Sustainable Development Goals, New York, USA. UNISDR has a mandate to serve as the focal point in the United Nations system for the coordination of disaster reduction, and leads the preparation of the Global Platform for Disaster Risk Reduction, issues the Global Assessment Report on Disaster Risk Reduction every two years, supports countries in monitoring risk trends and the implementation of the Sendai Framework, and leads global campaigns on disaster risk reduction. Kokusai Kogyo joined UNISDR’s private sector advisory group and private sector partnership at its establishment in 2011. Kokusai Kogyo’s Chairperson and CEO Sandra Wu led these private sector groups as Chair in the two years (2013-2015) leading up to the Third UN World Conference for Disaster Risk Reduction, and contributed towards getting the private sector role in disaster risk reduction and resilience highlighted in the Sendai Framework. Since 2015, Sandra Wu leads UNISDR’s reorganized private sector alliance at the regional and local level, pursuing implementation of the Sendai Framework in the Asia-Pacific region and Japan. The World Economic Forum is an international organization that is committed to improving the state of the world through public-private cooperation, bringing together the world’s foremost CEOs, heads of state, ministers and policy-makers, experts and academics, and others with the aim of driving positive change. It is known for its annual meetings held in Davos. Our Group became a member to the World Economic Forum in 2010, and Kokusai Kogyo became signatory to the Climate CEO Initiative in 2015, which is facilitated by the World Economic Forum and joined by CEOs from around the world. GGIM is a United Nations initiative that aims to play a leading role in setting the agenda for the development of global geospatial information and to promote its use to address key global challenges, by providing a forum to liaise and coordinate among and between Member States and international organizations. From its beginnings as an informal consultative meeting with geospatial information experts in 2009, UNCE-GGIM was formally created in 2011. Kokusai Kogyo has been participating in GGIM meetings as observer since the first High Level Forum on Global Geospatial Information Management in 2011. Endorsed the Earth Statement by the Earth League, a climate petition aimed at the Paris climate conference (COP21). 5th Annual Global Competitive Forum 2011, Riyadh, Saudi Arabia. As a group of development-minded professionals, Kokusai Kogyo has been helping developing countries – over 30 annually and 100+ since the 1960's – take their first steps in development work on their own. Copyright © Japan Asia Group Limited All Rights Reserved.